First of all, why Chin? He's the only small character in XIII yet he doesn't have the typical advantages of being small which is annoying (In XII, he was small enough to duck certain moves without doing anything, such as Robert's forward A which now hits a crouching Chin in XIII). The purpose, is to annoy the hell out of people with the limited, but well thought-out moveset he has. Although, he mainly has one or two combos with many variations to it, he has many combo starters as mentioned in the combo section (Overhead, d.B combos, hcf+K, df.B as an anti air, counter and so forth). Master him and people will stop underestimating "just the gimmicky old guy". The biggest threat about Chin is that he makes the opponents have to play Chin's game. -Great against mid-projectilers (or similar) like Andy, Ash, Ryo, Robert, Takuma, Mature, Elisabeth, King, Mai, Yuri, K', Athena, Kensou, Leona, Saiki and Mr Karate; decent against low-projectilers with stock. -Strong HD combos and damaging combos with drive plus stocks from pretty much anywhere on the screen. 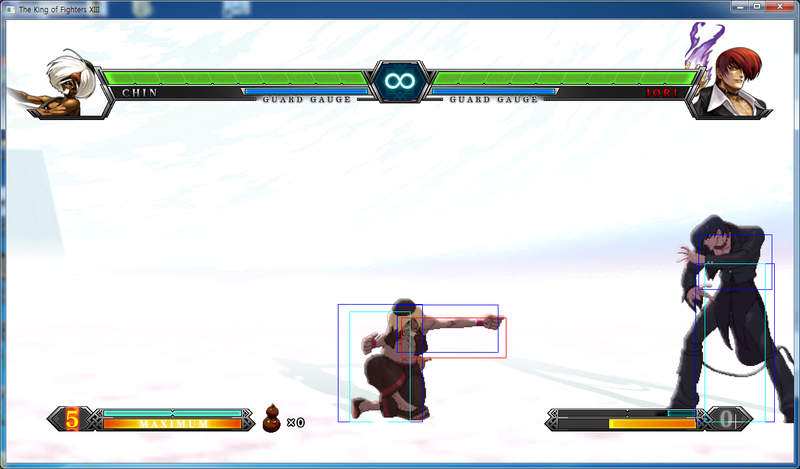 -All his optimal 1 drive 1 stock combos can put the opponent in the corner. -His corner combos all can start 60% of away from the corner. -Drinking overall can 'control' the match, forcing even the most passive opponents to want to attack him making him have one of the strongest neutral game. s.A: 25 damage, chain/cancel-able, hits mid. Standing forward poke, average range, fast, chains into s.A/d.B and is cancellable. s.B: 30 damage, cancel-able, hits low. Standing low kick to the shin, must be blocked low, is cancellable but does not chain to any normal. Great for his high low game since it needs to be blocked low --> df + B/Quickie Punches. s.C: 70 damage, cancel-able, hits mid. His combo starter of choice, double palm to the chest--comes out fast, cancellable, good priority, and is meaty. s.D: 70 damage, cancel-able, hits mid. Leans back drunkenly while kicking forward (very drunken fist like). Comes out slower, still cancels. Far A: 25 damage, chain/cancel-able, hits mid. 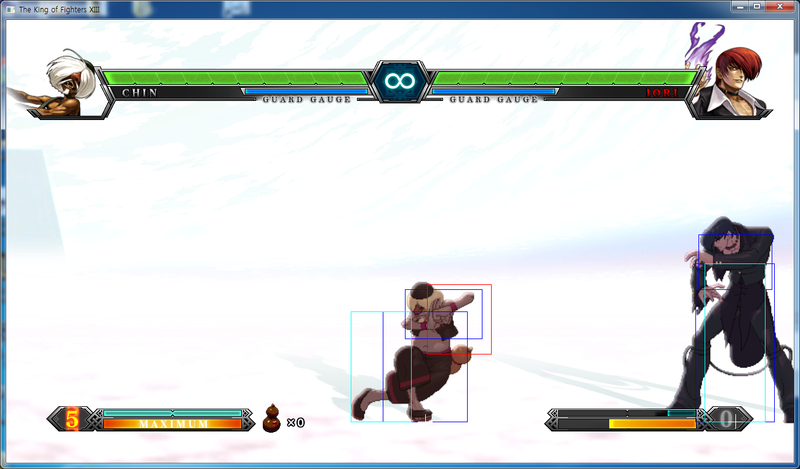 Standing forward poke, average range, fast, chains into s.A/d.B and is cancel-able. Far C: 80 damage, cancel-able, hits mid. 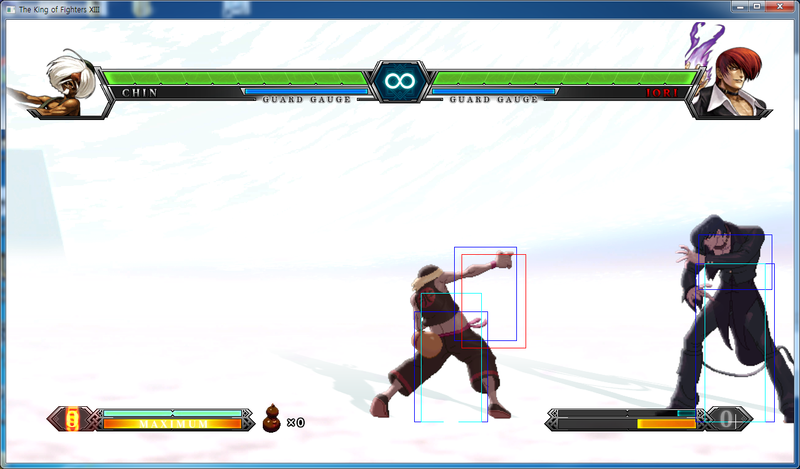 New horizontal with a slight upwards swing with both arms (very drunken fist like), has deceivingly good range (in Chin terms) and it cancels as well (great to cancel into df + D, but not a true combo). If anticipated early enough, use this for anti-hops into df + B/. Far D: 80 damage, hits mid. Longest range move for Chin, solid kick to the gut, button can be held to go into his kick stance. Also used for HD activations explained later. d.A: 25 damage, chain/cancel-able, hits mid. 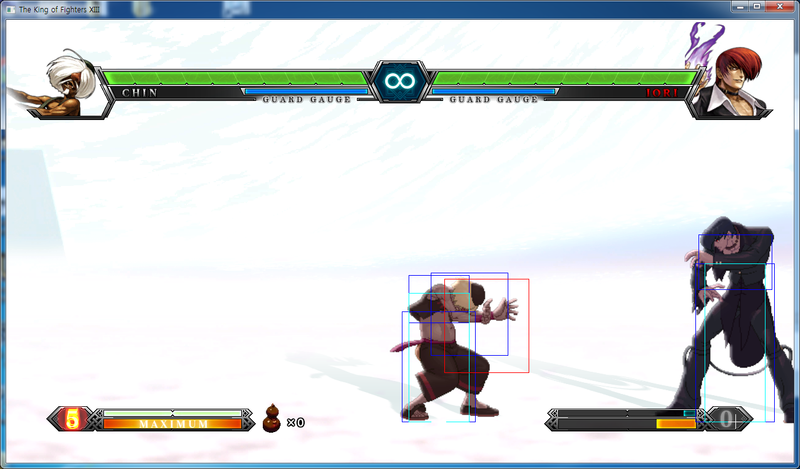 Quick low hit, can still be blocked high, pretty standard, used in his BnB combos. Chains into d A, d B, st A, fast and is cancel-able. d.B: 30 damage, chain/cancel-able, hits low. Front sweep, slightly slower than his d A, about the same range, is cancel-able and chains into d B, d A, s A. Since it can be canceled, play around with his d.B into df.D overhead. d.C: 70 damage, cancel-able, hits mid. Slight diagonal upward elbow, not that good for anti air, and the new far C does a better job for that role. Nevertheless, it's cancel-able so it's somewhat useful. d.D: 80 damage, hits low. Real low sweep as Chin basically lies on his back and does a double thrust with his feet. Good range, good recovery but is not cancel-able. hop A j.A: 45 (40) damage, hits overhead. Horizontal punch with a slight upward angle, fast and is a great choice for air-to-air. Use this instead of j. CD if they are already above you or started jumping before you. hop B j.B: 45 (40) damage, hits overhead. Standard martial arts fly kick, comes out slower but stays out longer than any of his jump attacks. Decent range. hop C j.C: 72 (70) damage, hits overhead. Chin lies horizontally in the air, good solid j. C, great priority and crosses up well. hop Dj.D: 70 (68) damage, hits overhead. Jumps and kicks backwards while facing backwards himself drinking at the same time, it's actually a really funny animation. Good horizontal reach, decent air to air, good priority, good move for a vertical jump too. 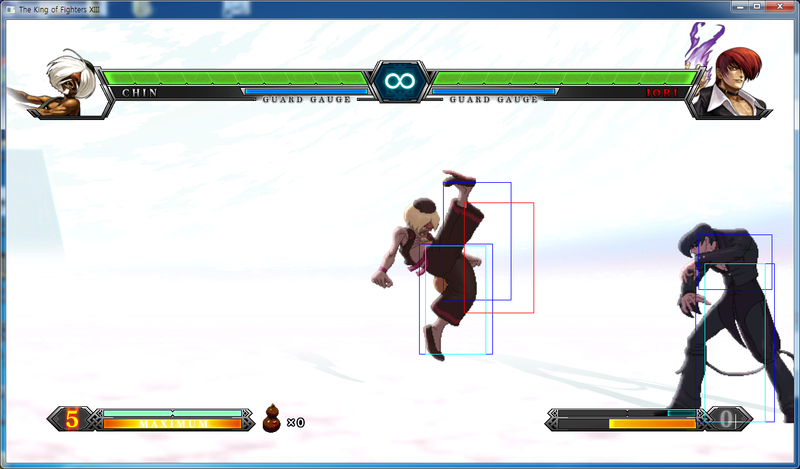 More difficult to use as a crossup but still good. s.CD: 75 damage, cancelable, hits mid. Leans forward and hits with one arm, good speed, cancel-able, good range for Chin. 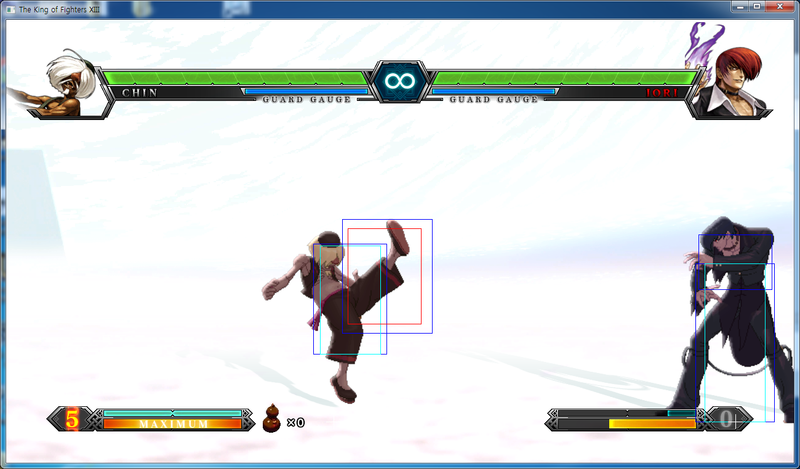 It should be noted that due to the strange crossup mix up of XIII, avoid using his GCCD on jump ins as much since it tends to miss a lot. Use his counter qcb + B/BD instead. hop CDj.CD: 90 (80) damage, cancel-able, hits mid. Real quick horizontal swing of the foot, good horizontal range, extremely good j.CD overall (I would put it in the top 5 due to it's speed an amazing priority). One of his key tools in zoning. Bangeki = b/f+C/D close 100 damage. Chin grabs the opponent and does a double palm to the chest. Uronkochu = df+D 45 damage, hits overhead. Overhead flipkick. Can be combo out of but too slow to combo into. If you press and hold the D button OR if you tap D again, the overhead will cancel before it hits allowing you to do any move afterwards. You can be thrown if you cancel the overhead, but it's all worth it because this is one of his key combo starters. Press punch after the overhead and it'll do his quickie punches (down x 2 + punch~punch). Chin hops onto one foot. Pressing fwd and back makes him skip/hop rapidly in that direction like a Pogo stick. You can hop or jump out of it (the jump is new to XIII) but you can not block. Can be free canceled into any special and has multiple follow ups. 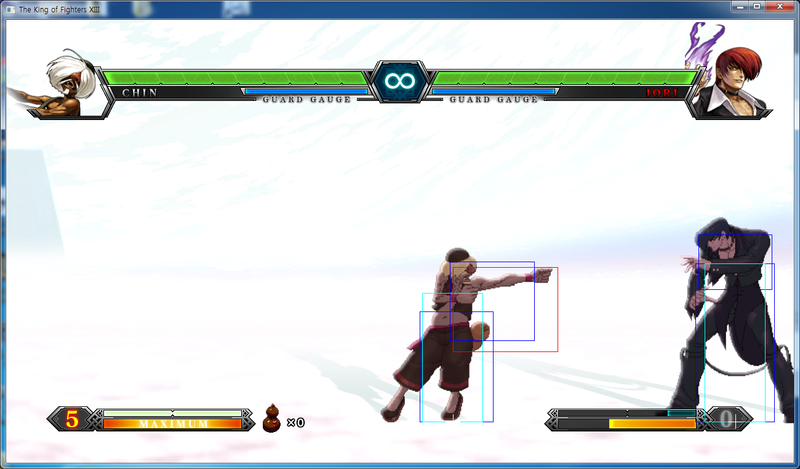 New to XIII, he can now throw an opponent by pushing forward or backward C in this stance. Note, this does have a whiff animation and acts as a normal throw--hence he the throw can be broken out of. This version has a slightly faster startup than doing it outside of his stance. 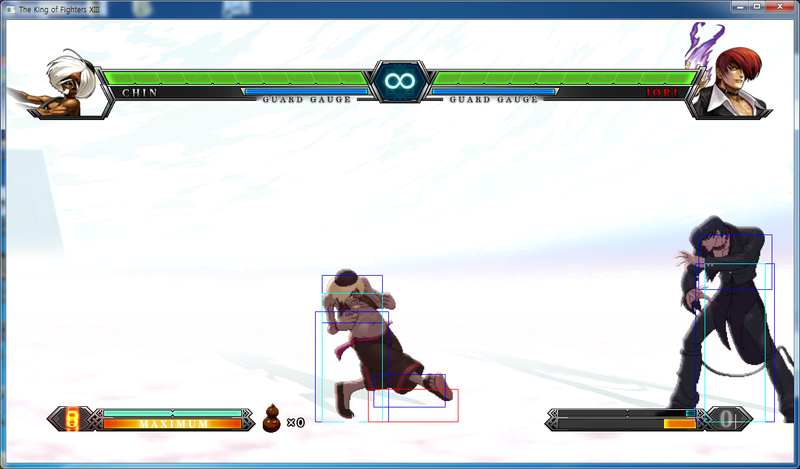 Cancels his stance (Press BD during Chokaroh) There is a special shortcut to go straight into this animation, and since the move itself is cancelable, it enables him to link hits that normally wouldn't combo (e.g. s.C into far C). The shortcut is performed d x2+BD. Chin crosses his feet and squats down real low. He has total upper body invincibility, even d As and most jump attacks miss him (curiously Duo Lon's d A is the only known exception). 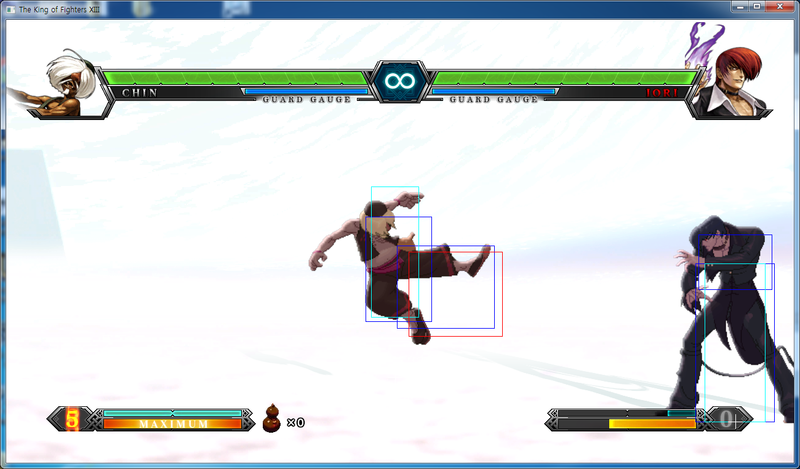 Just like his kick stance, he can now throw an opponent by pushing forward or backward C. In trade, he has lost his ability (from KOF XII) to cancel the stance into a d B while squatting. You can free cancel his stance into any special. You can also cancel into his overhead df D from this stance. Pressing up will end the stance early. The follow up are two quick hits with both hands and has very high priority. It can be free canceled into any special. Ex version does 3 hits (only the last hit can be cancelled) and the third hit draws the opponent back to him and you can follow that up with a s.C (Perfect for HD activation). The Ex version needs to be done close for the third hit to connect and hence even if you did one d.B before the Ex version the third hit will miss. The only thing that will combo into the Ex version and have all three connect is df.D, QP, Ex QP. Nikiyaku (EX) = df+B.B  20+60/40x2 damage, cancelable, hits mid. Kyo-like kick diagonally upwards, you can press B again during the first kick to kick again (a la Ex Kyo/old school Kyo). Landing automatically puts you into the kick stance which can canceled into any special. 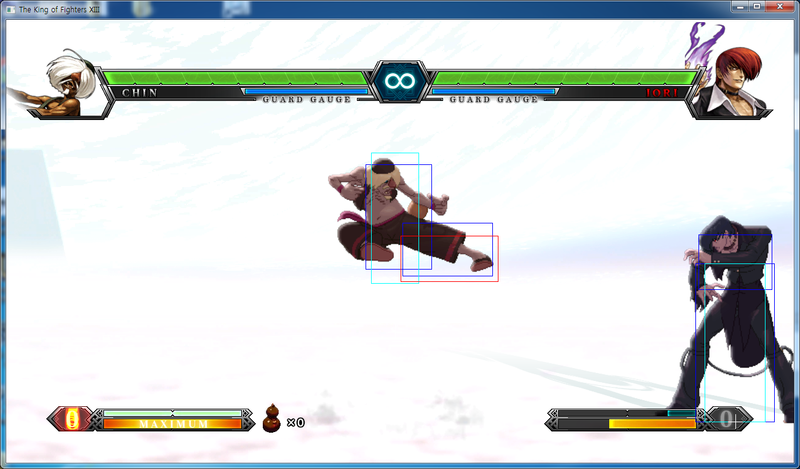 Must anticipate early on if you want to use df B as an anti-air and do not use if they they are nearly above you. If you connect one df B in the air you can juggle with another df B or qcb + A. The Ex version automatically does the second hit for you and launches the opponent higher into the air but is not very good as a raw anti air. A quick hit to the face with the back of his fist. A version is quick, C version is slower and used mainly for specific juggles; C version has upper body invincibility. Deceivingly good range and recovery but not safe especially if done close. Ex version does more damage and setups specific juggles. You can drive/super/Ex cancel out of it. Chin walks backwards 1-2 steps (lasts only 1 second in the console version) in a seemingly drunken state with his head down awaiting for an attack; this move is a counter. The B counter counters all specials, and air attacks and even counters projectiles. For the B counter, he'll flip backwards immediately so a df + B will connect depending on how deep the attack was, or a well timed hcf + B. The D counter counters low hitting normals and some attacks that hit at his waist level. He'll do one cancelable s.D (note, if you don't cancel the s.D the opponent will have frame advantage) allowing you to cancel out of it. NOTE:The follows ups to the B and D counter are switched in the arcade version. EX Counter counters everything, he'll do a series of four hits that end in a qcb + A or C that can be free-cancelled into any special but the best follow up is a hcf + K. The EX counter does 199 damage in the console version but the active frames are incredibly short. Drink. Chin takes a swig from his gourd and he gets darker in color as his drink counter increases; the max you can drink is 5 drinks. Every drink Chin increases his offense damage by 10% and in the console version, he takes no penalty whatsoever. He will lose a drink counter every time he's knocked off his feet. Chin rolls across the ground and ends in a backfast to the chest area. B doesn't go as far although D seems to startup quicker. This move radicalized Chin's gameplay from XII (which was strong already) since it allows you to free cancel into any special (no stances/supers). Of course you can chose to deplete a cancel and super cancel into one of his DMs if you like. Mid fireballers have to watch or even stop throwing them completely lest they want to eat a 40%+ combo as the D will go under mid fireballs (Even Mature's regular one). Chin's hcf B can go under the fireball of these four characters: Andy's, Ash's, Saiki's and King's. It cannot go under Robert's, Takuma's, Mature's, Mai's, K's, Athena's and Kensou's. EX version is much faster and is invincible during the roll but not the start. Most common specials to free cancel into are qcb + A or df B but you can juggle with hcf + B so you don't waste a drive cancel. The Ex hcf + K is pretty safe leaving you at a -1 frame disadvantage. Chin flies forward with a spinning headbut a la Jackie Chan. Normally does 8 hits if they all connect and the EX version does 16 hits. The EX versions combos off a d B, d A, and off a df + B but the normal version can only be comboed off a df + BD or super canceled off a hcf + B or C.
Chin turns around and slams his back into the opponent a la Xiang Fei. A version is quicker and combos off df + Bs, it is a hard knockdown--always drink afterwards. C version is slower but has wire damage and can be followed up into the A version or into qcb + A juggle combos. C version also combos off his Getsugasosho. Chin breathes fire out like 2k2UM. The player can control the direction of the flames. This move can be performed in the air however it does three less hits. Although the damage output is lower than most NeoMaxes, it can be easily followed up with a df B, DM, or a well tell hcf B if juggled correctly. Chin's 1 drive 1/2 stock combos are so incredibly crucial to his gameplay that you would be forgiven not doing HD combos. He averages 500+ basically off any scenario, anywhere on the screen. We're not even talking about drinking once or twice which you should always do per round. Master these combos and your opponent will be staying clear of you. 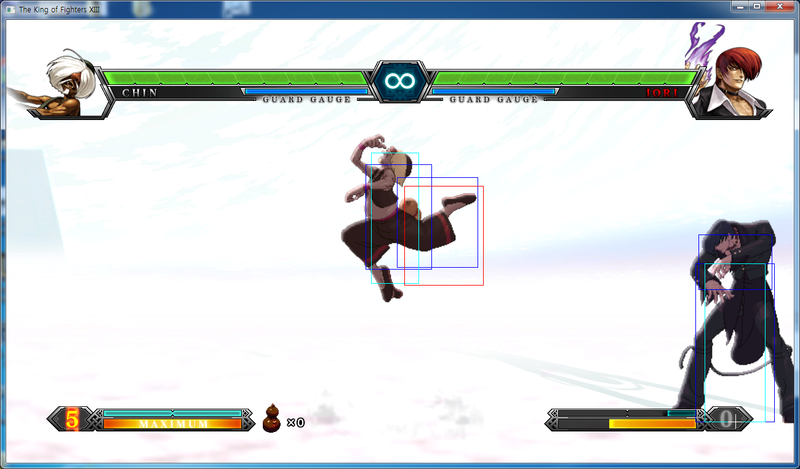 Chin has many combo variations depending on where you on the screen. The most damaging one requires you to be midscreen at least. Note that all s.C that are combo into can far C if you use the stance cancel technique. The Flow Chart might look daunting at first, but once you do one or two variations you will see they are just derivatives of each other. Best damage for non-stock finishers and is a reset for mixups (Hop/Jump cancels, s.A into punch stance-->delay throw, s.C x2 pressure, s.C into cancel). Note: Doing most of the combos mentioned, will replenish approximately 80% of his stock guage! 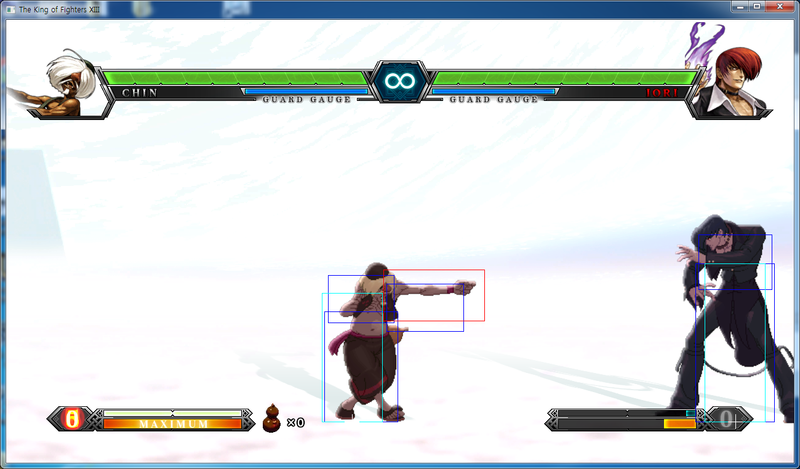 It cannot overstate how good his Ex qcb+P it has full invincibility, -1 on block, and can be [DC]'d into longer combos. Again, more damage than the first 2 combos, but it depends on how much you start with. Special notes about this combo :1) The more Quickie Punches you do (1, 2 or 3 sets) the less damage it deals due to damage scaling. 3 sets of QP does 22 hits 550dmg. Hence, do 1 set to prevent damage scaling especially if you wanna add a Ex Dm. 3) This combo charges exactly 1 full bar so although you're using 3 stocks and 1 drive, it's really just 2 stocks plus 1 drive (real cool). 4) If you omit the Ex qcb+AC it'll be 17hits for 529dmg. Slightly more damage than the combo listed above, both are 3 stocks 1 drive. The key to discern which to use is how many stocks you are begin with. If you have 3 stocks 1 drive to begin with, go for this one. If you only have 2 stocks 1 drive then do the 597 one and you should be able to build a full stock to add the df.BD in the end. -You can do s.C, qcb+BC and it'll do his qcb C+HD. The beauty of this HD combo it's a full screen wall-to-wall carry so it's worth your time learning it. With Chin's stocks being so useful, it is probably not worth doing the 1 stock finish unless it kills the opponent. Let's start with far range. There's not much you can do here except prepare to hcf+K any whiffed moves. The D version goes about 70% of the screen and of course if they have mid fireballs, which roughly 1/3 of the cast do, remind them not to mess around with you. If they have a ground fireball like Terry and Kyo, only his Ex version will be suffice but there are still ways around it (note, Ryo, Robert and Takuma's HSKK projectile is still consider a mid fireball despite the size). You can either qcb B the fireball and cancel into hcf D, go into the kick stance and tap forward and you carefully skip over the fireball if you time it correctly (tap fwd in kick stance). In the meantime, while near full screen away, steal drinks when you can. After one or two drinks usually, the opponent will approach you to prevent you from drinking. Another useful tool from fireball happy opponents is to use his qcb+B counter to prevent any block damage (Chin triggers his counter but neither party takes damage and the projectile is negated). Eventually opponents will wise up and will try to punish you if you go for the counter. Against characters like Robert or Andy, use his punch stance (d x2+P) to crouch under the projectile, if they use any attack afterwards like Zaneiken or Robert's Flying Kick HSPK, cancel his stance into his qcb+B counter--punish them at will. Often times you can bait them to throw a mid fireball without them really thinking. e.g. Try hcf+D (blocked), qcb+B... Chin will proceed to walk backwards. You'll be surprised how many people try to punish you which is when you remind them about your hcf+K or qcb+B (again). Mid range - Now we enter more of Chin's comfort zone. df B covers good horizontal distance but make sure you don't abuse it too much because a blocked df.B can be punished despite it leaving you at -2F (unless done at point blank range, -3F, which is never recommended). 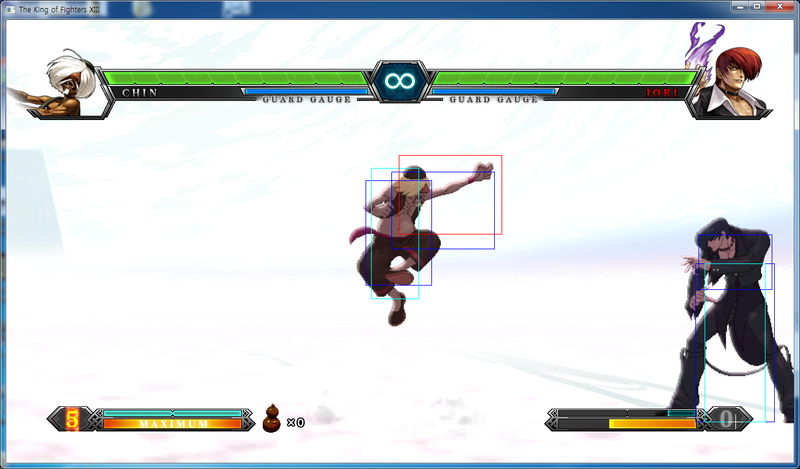 Of course if used preemptively, it's a good anti-air and another good anti-air is his vertical j.CD. Play around with his Far C into df+B and you'd be surprised how effective it is against hops. Against jump-ins use his qcb+B counter. If they are baiting your counter with empty jump ins do an early j.CD and drink immediately when you land. Essentially you want to being doing j.CD a lot be it vertical forward or backward depending and drinking a lot. On the offense use Far C into df.D, good reach and deceptive. Sometimes, it's even good to use hcf+K to escape underneath your opponent as they jump towards you. Be prepared to punish with hcf+K or the Ex version. Close range - Chin's sweet spot. Here's when the mix up games begin. 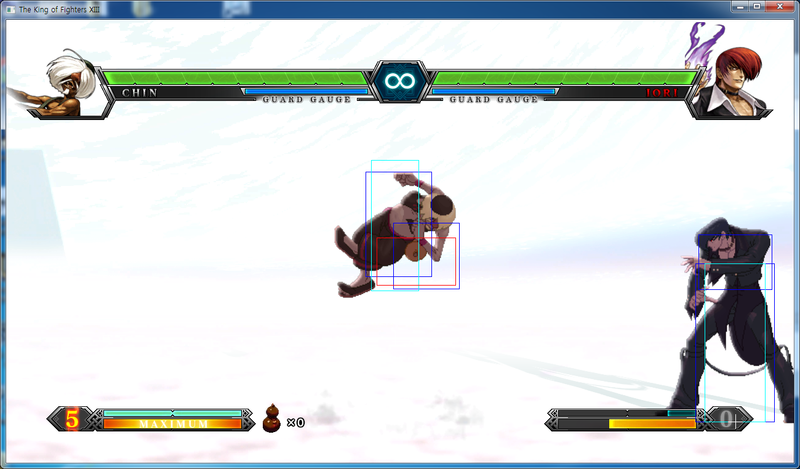 Crossup C and jump B mixups, d.Bs with overheads loops mixups can seriously drive your opponent mad. When they are tired of your barrage of attacks, let loose a well timed Ex counter and let them think again about attacking. Don't forget Chin's d x2+P now has a foward+C followup which is a normal C throw. Using his d x2 punch stance is a great anti air. Since, Chin will not correct his direction for the follow up throw if the opponent is behind you (he'll whiff the throw grabbing forward even if you hold back+C), you can do the overhead db.D if they are behind you. Alternatively, cancel his punch stance into any of his specials like df B, qcb C (seems to have a decent amount of invincibilty), qcb B all the opposite direction of course. So you start with a Crossup C, they block it, you can either go for a d.B into overhead, or s.C into overhead, both are relatively safe but they can still throw you if they're paying attention. If your d.B connects you can go for s.A x1~2 into qcb+A... or just go for another overhead. If they block your d.B, d.A/s.A, you can do the overhead feint (df.D and hold the D) into d.B combos. If they start blocking high too much, sweep them with a down D and start the crossup/overhead/d.B/counter mix ups again. 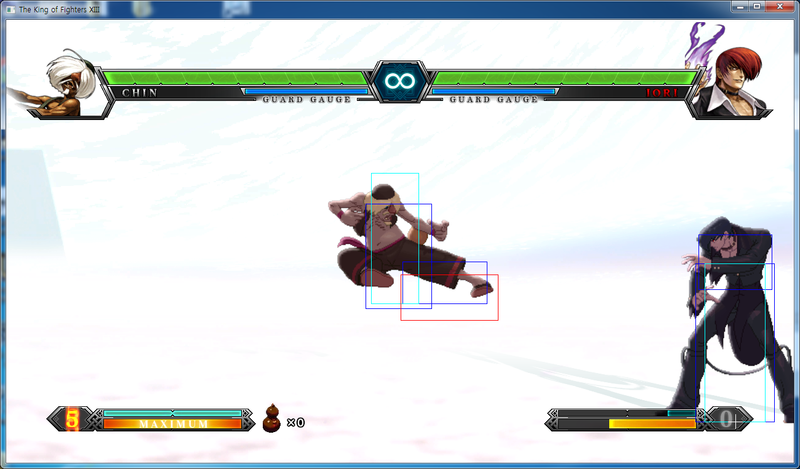 Don't forget, holding df.D or pressing D again does Chin's overhead fake so you can do d.B combos or just throw them. Sometimes when they wake up it's good to go for his punch stance and either Quickie Punch them/ throw them/ or cancel into his counter. Don't forget both of his stances cancel into any special. Let's say they block your overhead, tack on at least one set of Quickie Punches (coming from an overhead, you just tap C but mash d x2 and P after the first set if you wish to continue). If they block your quickie punch you can go for another overhead (!) or cancel into his kick stance (d x2+K) and jump over them and start attacking once more. 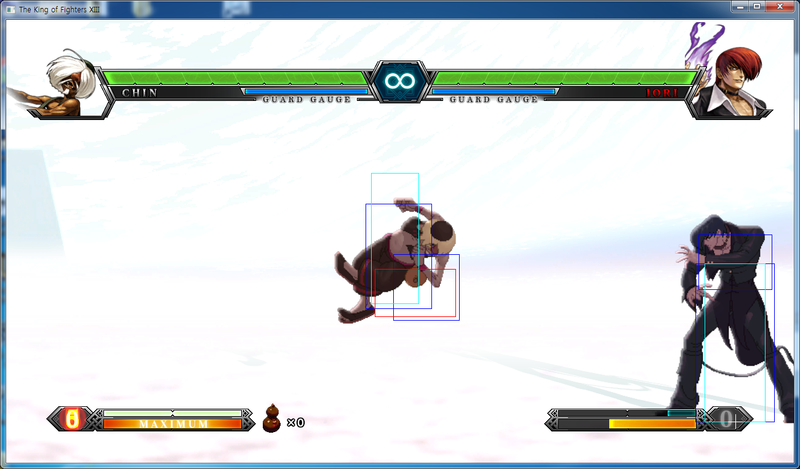 A more advance block string is j.C, s.C, kick stance, cancel into crossup C.
Far C is an extremely abusive normal, it has decent range, cancelable into his df B, and cancelable into specials. Far C --> d x2+BD pressure is very hard to deal with, just make sure you walk slightly forward to make them block the second Far C. Far C into hop cancel into j.CD is very hard to deal with (Far C, d x2+K, Hop immedidiately j.CD). 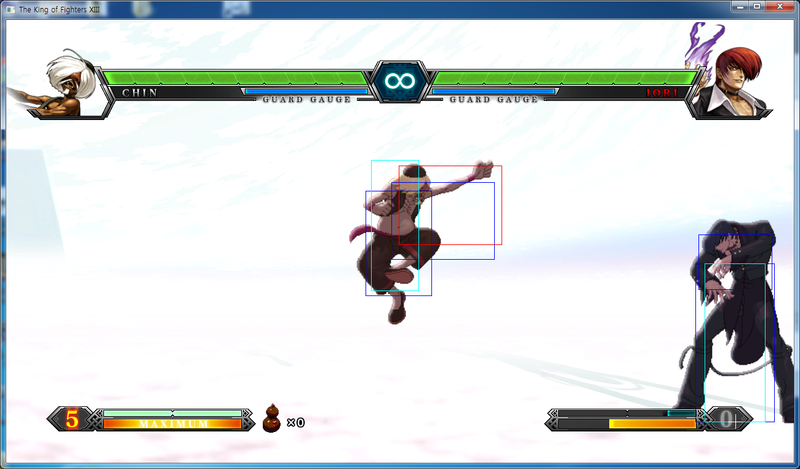 The aforementioned hop cancel leaves the opponent in a staggering 17F of block stun making him have only a couple of frames of movements before having to block the j.CD. Note: If you do the Far C, d x2+BD cancel you recover faster but so does the opponent. Coming from a Chin user, Chin is real annoying to fight against once you really understand how many different options you have at your disposal. After some reflection, what's annoying about Chin isn't necessary his damage (which is pretty high relatively speaking) but simply coz he makes you play HIS game. Playing against an experience Chin user definitely makes you have to play differently. If you factor in his different options to administer this torture, and you're grinning from ear to ear. -Try to drink whenever you can but remember you are pretty vulnerable during the drink so do it after j.CDs, qcb+As and drink super. 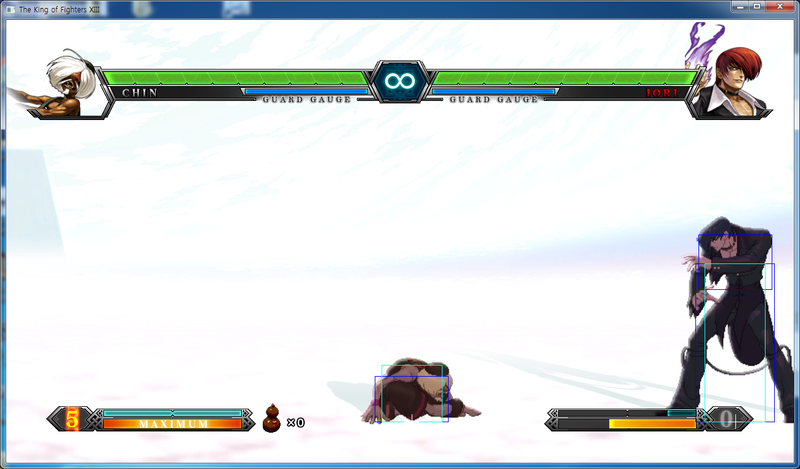 -As long as I have one drink, I'll try to finish the df.B combos with his qcb~hcf+A. Burning a meter for the ender: Ex df K, hcf D, df B~B, s.C does more damage but the drink super does a hardknock down so you can drink some more. Drinking cannot be overstated how useful it is in console because it takes no penalty for doing so. Even if you have 5 drinks, it'll still meter for drinking. -Make sure you have 1 drive gauge otherwise it severely limits his options (s.C, df.B, qcb+A, [DC], hcf+K...) hence Chin as a 2nd or 3rd character is generally wiser than being first although you can kinda compensate the lack of drive by drinking. -If you lack a drive cancel but have stocks go for Ex hcf K starters, or raw Ex qcb P and drink some more. -Anytime you connect with qcb~hcf+A, drink away safely (even in the corner). -Under too much pressure and have 3 stocks? Ex counter, hcf+B, df.B, Ex qcf x2+AC. -If I have more than 3 stocks I'll either save it for combos or if I'm playing someone I better finish off, extend your df.BD, hcf D corner loops. e.g. df.B, qcb A, [DC], hcf+D, (df.BD, hcf+K)x 1~3, df.B x2, Ex qcf x2+AC. -Full drive gauge and if the opportunity arises, go for his HD which is good considering he does 60%+ damage with no stock. -Quickie Punches only combos off strong attacks or 1 light hit; exception is d.A / s.A, d.B, QP because the d.B moves him slightly forward. 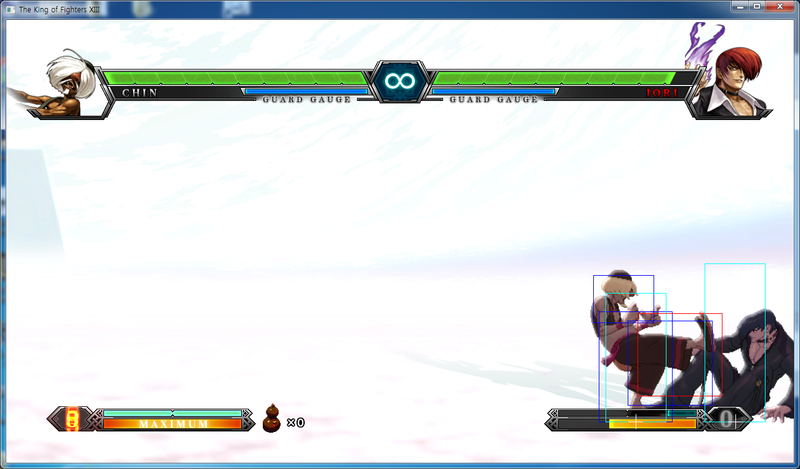 -Due to damage scaling, do as few QP as possible before continuing your combo. -Only do 3 sets of QP if you don't have any stocks and want to build meter. L = Link, can be a frame trap as well. LO = Link only, not a frame trap. 2.) st. A > cl. C (L) - 2 frame gap between st. A and cl. C. 3.) st. A > cr. C - 4 frame gap between st. A and cr. C. 4.) cr. A > cl. C - 4 frame gap between st. A and cl. C. 5.) st. B > st. B - 2 frame gap between st. B and st. B. 7.) st. B > cl. C - 2 frame gap between st. B and cl. C. 8.) st. B > cl. D - 3 frame gap between st. B and cl. D.
This page was last edited on 15 December 2014, at 19:44.